From the author of the #1 New York Times bestseller CRISIS OF CHARACTER comes an explosive new expose of the Secret Service.The United States Secret Service is tasked with protecting our Presidents, their families, and the complex in which they live and work. Given this important mission, world stability rests upon the shoulders of its agents. In his new book, former Secret Service officer Gary Byrne takes readers behind the scenes to understand the agency's history and today's security failings that he believes put Americans at risk The American public knows the stories of Secret Service heroism, but they don't know about the hidden legacy of problems that have plagued the agency ever since its creation.Gary Byrne says that decades of catastrophic public failures, near misses, and bureaucratic and cultural rot threaten to erode this critical organization from the inside out. Today, as it works to protect President Trump, the Secret Service stands at a crossroads, and the time needed to choose the right course is running out. Agents and officers are leaving the Secret Service in droves, or they're being overworked to the point where they lose focus on the job. Management makes decisions based on politics, not the welfare of their employees. Byrne believes that this means danger for the men and women of the Secret Service, danger for the President they protect, and danger for the nation. 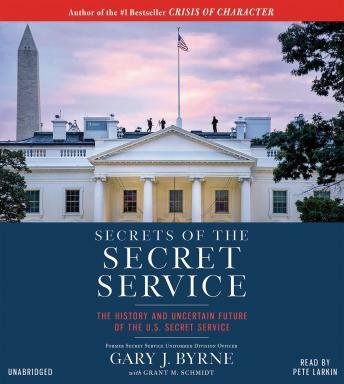 In this book, he shares what he has witnessed and learned about the Secret Service with the hope that the problems of this most important agency can be fixed before it's too late.